Cost cutting and improved efficiency are central to oil and gas companies. Changes in the industry, new regulations, and increased competition have companies looking at technology differently than they did even five years ago. In particular, cloud computing is revolutionizing the oil and gas industry, particularly in areas of oil and gas surveying and project management. 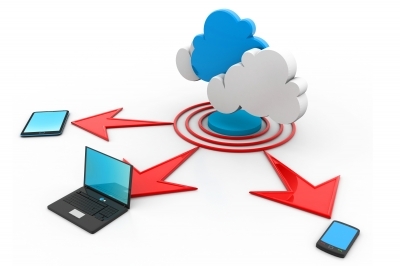 Cloud computing platforms can be somewhat invisible. Because they are so simple to use and make previously complicated tasks easy, it is entirely possible that the user may not realize just how much this technology is impacting their business. Cloud computing, in general terms, is the ability to simultaneously distribute information over a computer communication network to many users. The flip side to this is the ability to access and retrievethe vast amounts of stored dataregardless of time and location. Cloud computing is extremely popular in industry and business for the same reasons any innovation or technology is popular: improved efficiency and cost effectiveness. This is especially useful for the oil and gas industry, which has to handle large amounts of data as well as manage multiple, often remote teams. With any oil and gas project there are a lot of moving parts, and cloud computing can be used to make these parts work more seamlessly with one another. Important data and documents can be easily accessed by those partners who are cleared to view them. Since information is available onany internet capable device, data can be uploaded from a project site and made instantly available back at regional centers or corporate headquarters. Quality control, connectivity, and real-time survey and drilling data are enhanced through cloud computing. Mobile devices are already used by oil land surveyors to collect data and upload it to servers. Seismic crews use wireless recording stations to ensure quality control. Data can be collected from the field and immediately uploaded. Land surveyors collect data and cartographers in an office in the next state can interpret and map it for immediate uploading and distribution. Stored map information may be integrated into other internal systems, or used on-site by the project manager and crews. Project managers utilize cloud technology to query and view cross-project and multiple task data files. Historical, geological, and drilling operations data relevant to the project they are working on, can be accessed by simply logging into the cloud repository. Using cloud technology for Oil and gas data management also makes it easy for the project manager to share pertinent information with all project stakeholders. Additionally, data can be easily cross analyzed and interpreted, leading to decisions being made and conveyed faster, thus reducing adverse impacts to the community, company, and environment. This efficiency also translates into minimization of costs associated with delays, slowdowns, catastrophes, or other unplanned interruptions. Using cloud data also provides project managers with additional information to effectively determine critical milestones, create achievable schedules, and generate more complete reports and more informed budgets. The cloud provides a continuous and secure flow of information from a variety of cross-disciplined experts. When oil and gas companies implement a cloud computing platform, they will see much more reliable service results while saving money at the same time. If you are looking to use cloud technology to cut costs and increase efficiency, then try our Oil & Gas Data Management Demo for free and see what a difference it can make.